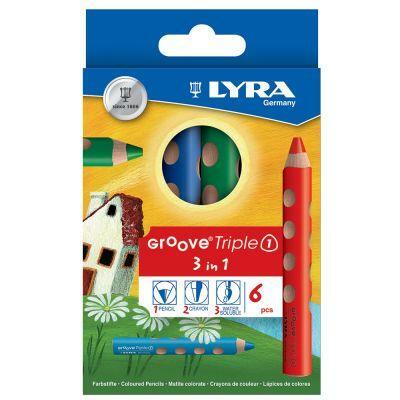 Give your creativity free rein with LYRA Groove TripleOne. The Lyra Groove TripleOne is a giant pencil containing three leads rolled into one; use it as a coloured pencil, a watercolour pencil and a wax pencil all at the same time! 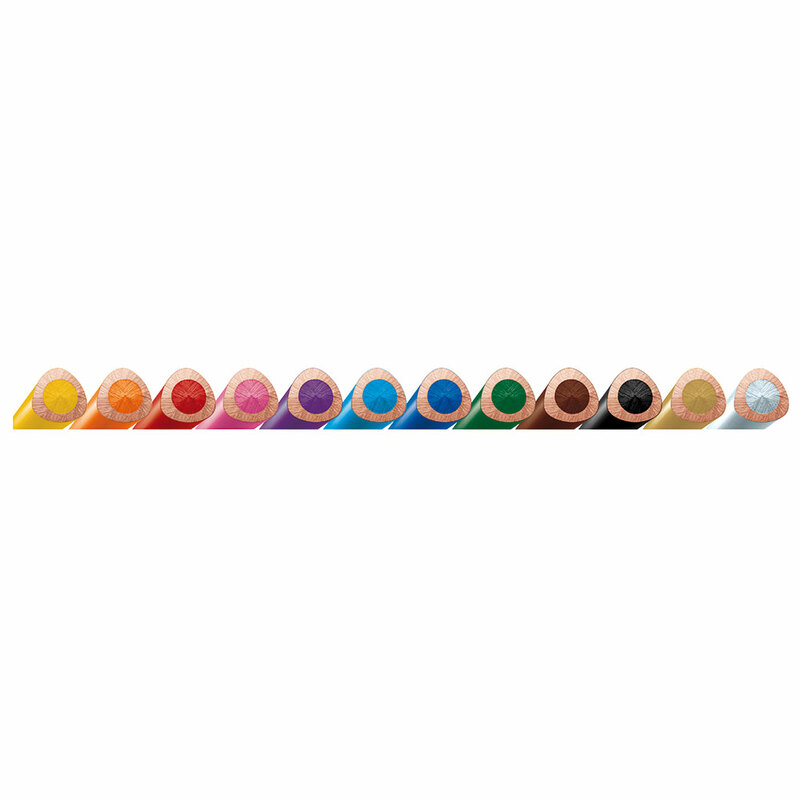 These pencils are extra-resistant, anti-break and long lasting with a 10mm diameter lead made from high-quality intense pigments that is easy to apply. 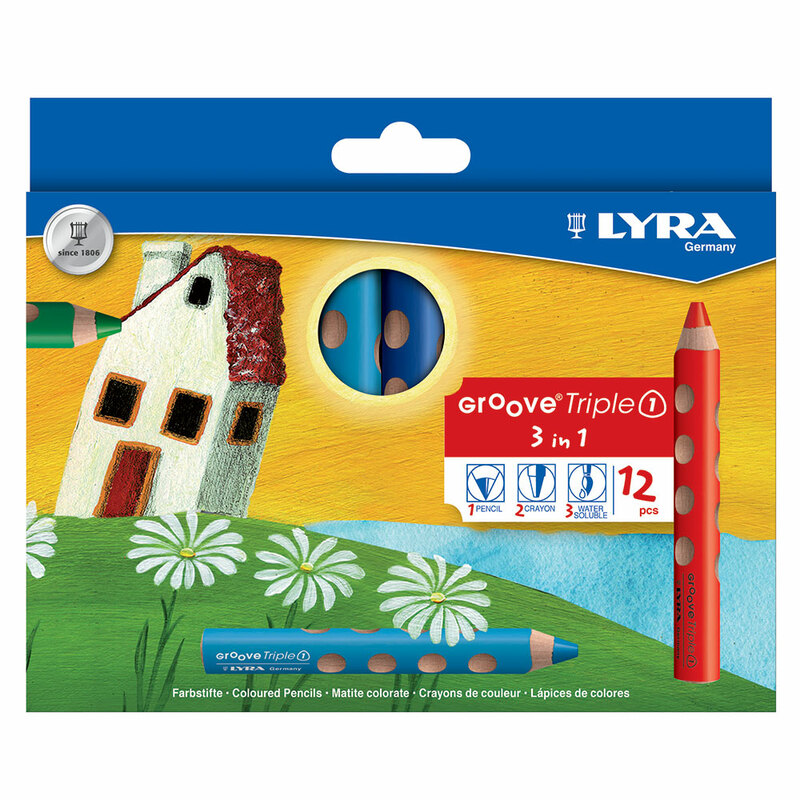 The barrel of the pencil is made from the finest Californian cedar, and is shaped into a triangular cross-section with a 15mm diameter. 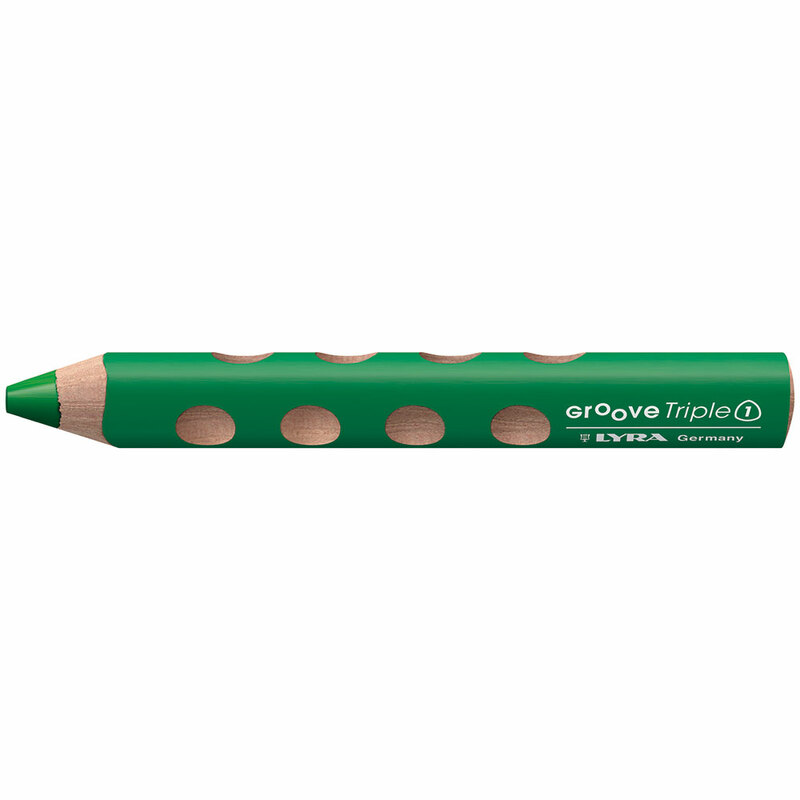 This triangular profile makes these pencils comfortable to hold, and their grooved design facilitates a firm, yet easy grip. 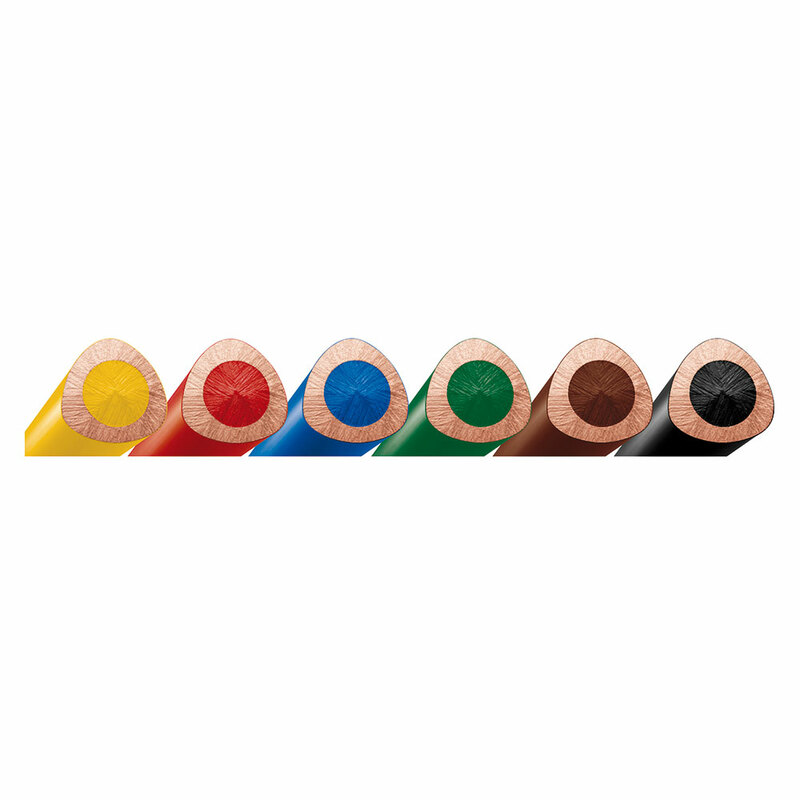 There are anti-slip holes along the sides for the users thumb, index finger and middle finger, ensuring optimal support and grip even after the pencil has been sharpened. Available in a set of 6 or 12.